homework | Another dot in the blogosphere? I did not know that this was a thing — people following other people who video record themselves studying. But I can see why it would appeal to those who need to create conditions around them so that they remain focused and motivated. The content creators, if they can be called that, are actually models of behaviour that others can draw inspiration from. They do not actually have to teach content. This trait something that might elude novice teachers even though their teacher preparation courses and mentors might tell them. What they do and how they model behaviours matters. They teach not just with their words, but also (more so?) their actions. So what if Changi Recommends? Changi Recommends is $12 a day for Europe and comes with 500Mb fair use limit per day, after which it gets throttled till the next day. No, thanks. Come to think of it, the same could be said if you rely only on the word of official textbooks and spokespeople. Yesterday I reflected on how a field trip was a lost opportunity for modelling and teaching critical thinking. Today I reflect on how I used a holiday book report to teach my son about metacognition. 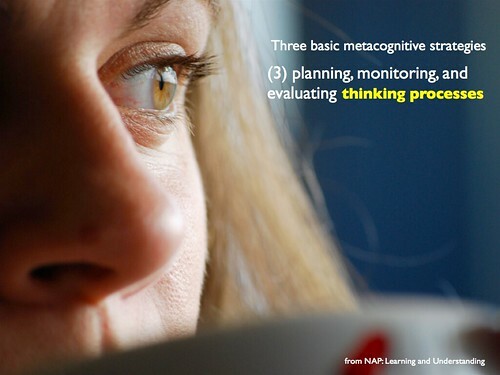 In simple terms, metacognition is thinking about thinking. When a person steps back from a task or problem to consider alternatives, the strategising is a form of metacognition. When learners rise above a lesson and ask themselves what they actually learnt, that reflection is another form of metacognition. When my son was given a book report to complete during the June school vacation, he started reading his book without considering what the instructions and his options were. This is what many students do: When told to do something, the dutiful take the straight path without question. I asked him if he had been taught how to analyse questions or if he had been taught study skills. He replied that he had not. I am giving the benefit of the doubt to his teachers since kids often do not see the point of such things when they are told. This is often because they do not get to practice those skills in a meaningful context. My son’s book report was an excellent context and it was very well designed. He and his classmates could choose from a list of books instead of being forced to read just one book. They were also given several options to submit their report. The options were varied, e.g., draw a comic to illustrate a key chapter, craft an alternative ending for the book, write a poem as a response, etc. In all options, students had to rationalise and justify their choices. I was impressed with the design of the task because the teacher had incorporated learner choice into the report. I highlight choice and not learning “style” because the latter is a myth. My son was about a quarter way through his book before he considered his options. When he decided on one, I asked him why he chose it and he struggled to articulate his reasons. In doing so, he had missed at least two opportunities to exercise metacognition. When he did not read the instructions and options first, he failed to plan for his journey. That is like plunging into an actual journey without planning, research, money, schedules, or destinations. The book report options were varied enough so that he could take advantage of his strengths or address weaknesses. He selected an option because it appealed to him. While that seems reasonable on the surface, powerful learning is about knowing when to leverage on what one is good at or face up to what one struggles with. Our discussion on metacognition will not be the only one we have. This form of learning is a long process of self-discovery and awareness, and I will be there as a guide. 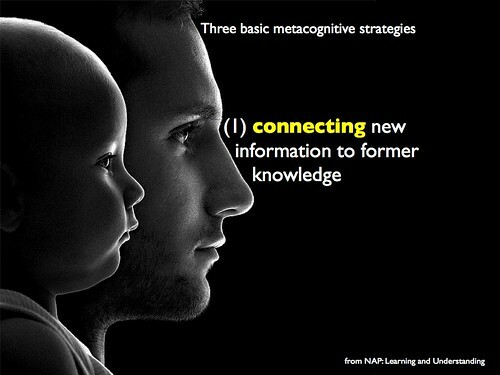 I reflected on the interaction I had with my son about cognition and metacognition. Metacognition is arguably more important than cognition, particularly of the lower level sort, e.g., factual recall. It is easy to Google for information or find a solution in YouTube. It is not as easy, but certainly more important, to be able to decide if what you find is valid and reliable. Facts will come and go. Students who face tests and exams are smart enough to adapt and rely on GIGO — garbage in, garbage out — as a strategy. However, this form of schooling and assessments conditions them into that sort of pragmatic but lazy thinking. 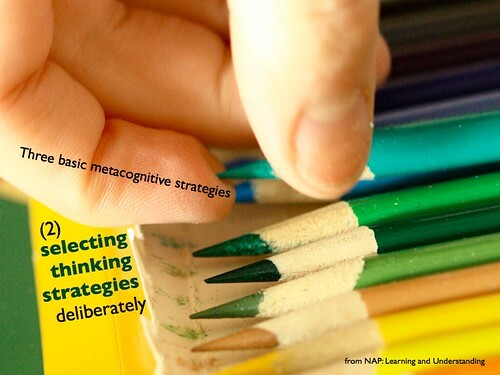 The more important types of thinking lie in metacognition. They need to be able to analyse, evaluate, reflect, and strategise. They need to focus on the long tail, not just the short game. Have you ever stood in front of a mirror and said a word (any word) out loud over and over again? That word starts to lose its meaning and it might start to sound funny. The video below explains why. So how does meaninglessness result from repetition? Psychologically, it stems from semantic satiation. Neurologically, it is dues to to reactive inhibition. Pedagogically, it can be called drill and practice. Or most homework. This is a sort of oldie but goodie, 14 Hilarious Homework Excuses from students. I asked a question in my tweet and I suggest some answers. Warning: My answers are not funny. They are actually quite sad. This is the way things have always been done. I know no other way. There is no other way. You can show me better alternatives, but I will reject them (see #1 and #2). I do not want parents to complain that their kids do not have homework. It is business (busy-ness) as usual: I am busy, parents are busy, so kids must also be busy. If I suffer, they must suffer. Suffering builds character. We could not finish all the work in class, so they must do the work at home. 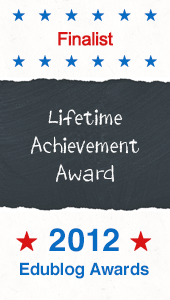 Like blood, sweat, and tears, homework is manifestation of effort or lack thereof. All the above prepare kids for work. 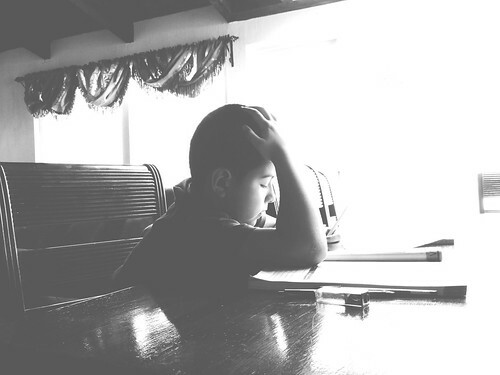 Where is the reflective and critical practice around homework? What does research reveal about homework? Dare you read and learn from these curated resources?